Knowing the standard brochure sizes is important when you plan to make a brochure for print, or for web. Determining the size is the very first step you need to take, even before you decide on the number of pages and before you start working on design. Because brochures come in all shapes and sizes, it might be difficult to remember all the standard dimensions for brochures in inches or millimeters. I know it would be, for me. Another issue is the difference between American / Canadian brochure standards (ANSI) and the International brochure standards (ISO 216), which specifies the sizes used in most countries. So we’ve put together a guide that contains all the different brochure sizes for print and various common fold types. We hope you find in useful. Feel free to bookmark or pin it. A4 is one of the most used paper sizes everywhere and it’s the equivalent of the Letter size. It’s perfect for newsletters and other types of publications. It can also be used as a nice tri-fold brochure. A4 paper size provides a generous canvas for design, so you can pack a lot of information even on a single sheet of paper. If you split an A4 in half, you will get the standard A5 paper size. The exact dimensions are listed above. It can be used as it is, or you can fold it in half to get a small bi-fold brochure. The A3 is double the size of the A4. It’s commonly used for printing double layouts for catalogs and magazines, because you get 2 A4 pages out of one A3 sheet of paper. This size makes the perfect canvas for posters as well. DL stands for dimension lengthwise. The size is a 3rd of an A4. It’s very often used for promotional flyers / brochures. Printing a DL flyer is cost-effective, so if you have a huge flyer order for an event or for promoting a sale, you should consider a small flyer. The letter size is widely used for business and academic needs all over the North American continent. The page is slightly wider than the standard A4 and shorter, lengthwise. The Legal format is used for legal documents. Has the same width as the Letter size, but it has a bigger height. No need to go into details regarding the size, because the name says it all. Half letter brochures are used for a variety of purposes. The tabloid is similar in size to the A3, so it is used for posters, small-size newspapers and – as the name suggests – magazines. You get 2 letter pages out of one tabloid sheet. If you want to print out a DL flyer in America you won’t have much luck. But if you make an inquiry at your print shop for envelope size flyers, they will know what you need. Ask for a flyer size that would fit a #10 envelope. 8.5” x 3.67” would be perfect. The square shape works well for all various brochures and booklets. Because there isn’t an International size standard for square brochures, the size often varies. Many printing houses all over the world offer the option to print a square flyer, so it’s best to contact the printing house to inquire about the best size for your design. The unusual shape makes the design stand out. When you design for print you need to consider several other things apart from the standard brochure sizes for print. Folding type and number of panels – we have included the most common folding types in our visual guide. Visualize how the end product will look both folded and opened. Printer marks – Don’t forget about crop marks and the bleed area. 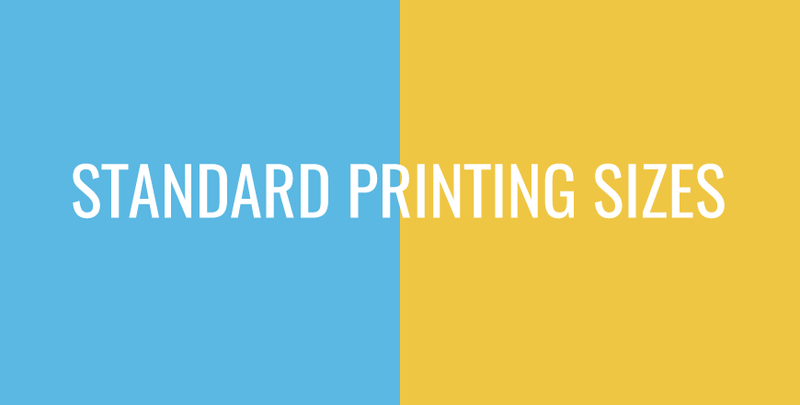 Color model – The standard color model for printing is CMYK, while the standard color model for web is RGB. Resolution – For print you need high quality image. The recommended resolution is 300 DPI for print. Paper weight – A light paper will always be bendier than a thick one. If you want your brochures to look premium/ luxurious opt for a thicker, sturdy paper. 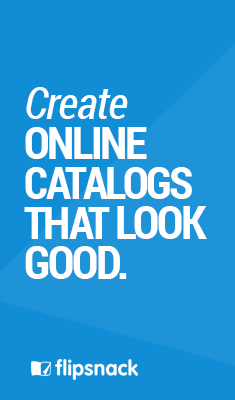 Digital version – Printed brochures are great, but you can easily make a digital version, to reach a wider audience online. Just make sure to optimize the brochure PDF for web and upload it on Flipsnack. It’s super easy, quick and it looks fantastic! how long it will take to have these flyers printed. Hi John, we don’t do printing at Flipsnack. You can make your brochures on Flipsnack, and download them for print but we don’t have a printing service. I’ve never thought about the sizing of images and words on a brochure. My husband and I are wanting to make a brochure and want to find the best company to print them for us. I’ll have to do some research and find a great company in my area. I would go with a standard paper size, like A4 (Europe) or Letter (USA). If you want a smaller brochure, go with A5 (Europe) or half-page (USA). I am looking for design my pamphlet a little confuse but not I am sure after looking above details. You just explain all I need to do before decide my pamphlet size. Thank you Jani. for sharing such nice information.